Hydrocodone – known by various brand names, such as Vicodin, Norco, and Lortab – is the most widely prescribed medication for pain in the United States. In fact, Psychiatric Times states that hydrocodone combined with acetaminophen, known as the brand Vicodin, has a whopping 46 percent share in the United States opioid prescription market, which is far more than the second most prescribed opioid, tramadol. Used to treat both acute and chronic pain, hydrocodone is usually bonded with another medication such as acetaminophen or ibuprofen; the only medication that is solely hydrocodone is Zohydro ER. Hydrocodone is considered a short-acting opioid, because it takes effect quickly, but for a short period of time, such as four hours. Most individuals begin their experience with hydrocodone after an accident or injury. Some people may seek more prescriptions from their physicians, and, if their physicians will not provide them, they may try to obtain the prescriptions from other physicians. 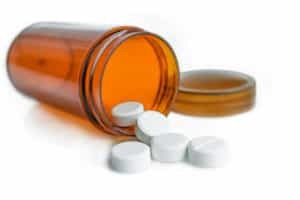 In some cases, people may also attempt to obtain hydrocodone from nonmedical sources, such as friends or family members, or attempt to purchase the drug off the street. The National Institute on Drug Abuse states that during the period of 2004-2009, emergency department visits involving the misuse of hydrocodone either alone or in combination with another medication increased 124.5 percent, making the total of these visits in 2009 alone 104,490. If individuals rely on hydrocodone to get through the day or use of the drug has negative life effects, medical detox and addiction treatment may be necessary. With proper medical care and therapy, recovery is possible. Hydrocodone is an opioid medication, and its principal use is to treat moderate to severe pain, but it can sometimes be taken to suppress a cough.Hydrocodone works by blocking pain signals in the brain, which makes hydrocodone-based medications different from pain medications such as acetaminophen that are not opioids. When a person is using hydrocodone regularly, the body becomes used to the medication, which consequently leads to the feeling that the person needs to take more to achieve the same effect. This may lead people to unknowingly overdose or become addicted to the medication. If people struggling with addiction realize the need for treatment, they may approach a family member or friend for assistance. Family members or friends may choose to locate a physician or other professional who can help their loved one, and offer to attend any appointments as a show of support. If friends or family members have noticed the above signs and wish to help their loved one seek help for hydrocodone addiction, it is important to remember that they cannot fix their loved one’s addiction on their own. Their loved one may be willing to accept help, in which case they should be referred to an appropriate treatment facility. If their loved one is not open to receiving treatment, different approaches may be warranted. Some people may refuse to seek treatment for fear that it may become public knowledge that they are in a rehabilitation facility. 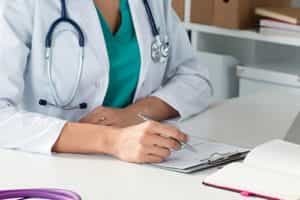 In such cases, it is important to reassure the individual that no provider can release any of the person’s medical information without written consent. Privacy laws are in effect that prevent such information from being shared as well. The person may also fear being “forced” to stop taking hydrocodone. Family members and friends should take this fear into consideration and not dismiss it as invalid. Reassure your loved one that the treatment centers you have discussed will keep clients safe and guide them through the medical detoxification process. If your loved one’s fear is related to an inability to pay for treatment, rest assured that financial issues don’t have to be an obstacle on the road to recovery. The Mental Health Parity and Addiction Equity Act requires insurance providers to cover mental health and addiction services in the same way that medical and surgical issues are covered. If the person does not have health insurance, some facilities offer a sliding fee scale. These facilities offer services at a low cost to clients in need, and rates are normally based on clients’ income levels. Individuals who need treatment, or their loved ones, may contact facilities before committing to treatment to ask about which payment options they offer. Those who have previously been to rehab should be reminded that they are not a failure. The person has learned the skills necessary to recover and should not be afraid to try treatment again. Relapse is often part of the recovery process, and the individual’s return to treatment may indicate that care needs to be adjusted or changed in some way. Each person’s hydrocodone addiction is different, thus each person’s treatment plan should be individualized. There are addiction specialists who can help the client decide which option is best for them. Medications are sometimes used for opiate detox. These replacement medications, such as methadone or buprenorphine, attach to opioid receptors in the brain, preventing severe withdrawal symptoms. The use of medications is determined on a case-by-case basis, and generally, the dose is slowly tapered over time, allowing the body to gradually adjust to being free of opiates. Detox does not constitute addiction treatment, in and of itself. Individuals in recovery treatment must receive individualized care plans that involve the use of therapy. Therapy teaches individuals how to alter certain thoughts and behaviors related to hydrocodone use and learn healthier life skills. Those who are better suited for outpatient treatment may wish to continue attending to responsibilities at home, work, or school, or they may be looking for a more cost-effective treatment option. There are different types of outpatient treatment, from intensive outpatient care that involves full-day treatment on a daily basis to counseling sessions that take place once or twice per week. The individual’s situation will determine what type of outpatient treatment will be the most appropriate. Outpatient programs may also include group therapy sessions. Many treatment programs offer workshops and counseling that can help clients with areas of life that have been affected by hydrocodone addiction, such as job-seeking assistance or assistance with legal issues. Individualized counseling may have individuals focus on a few short-term goals, so they can create and implement plans to accomplish these goals in a supportive setting. Some counselors require the use of a 12-Step program, such as Narcotics Anonymous, and may give referrals for additional required medical or psychiatric care, as well as help with employment. In a survey conducted by Narcotics Anonymous, 35 percent of members were recovering from opiate addiction, and 27 percent were recovering from prescription drug misuse. These types of support groups charge no membership fees, and membership is completely voluntary. Group leaders do not keep records of attendance, and anonymity is the backbone of the organization. To achieve the maximum benefit from such support groups, regular attendance is recommended. Oftentimes, individuals may attend various meetings before finding a “home” base where they feel the most comfortable. Membership is based solely on each individual’s desire to recover from hydrocodone addiction with the help of supportive peers. With the help of a support system, treatment providers, and peers, individuals have the best chance of recovering from hydrocodone addiction and staying sober. As addiction is a chronic disorder, ongoing treatment is recommended. Oftentimes, those who “graduate” from an inpatient rehab program continue with outpatient therapy. As individuals become more established in long-term recovery, treatment sessions may become less frequent. Regardless of the duration or severity of hydrocodone use, recovery is possible. With comprehensive care that begins with medical detox and continues through to aftercare services, individuals can achieve healthy, balanced lives in sustained recovery.